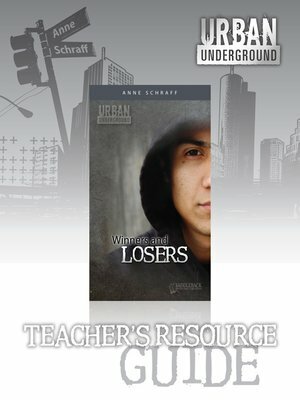 Written for young adults, the Urban Underground series confronts issues that are of great importance to teens, such as friendship, loyalty, drugs, gangs, abuse, urban blight, bullies, and self-esteem to name a few. More than entertainment, these books can be a powerful learning and coping tool when a struggling reader connects with credible characters and a compelling storyline. The highly readable style and mature topics will appeal to young adult readers of both sexes and encourage them to finish each novel. The Teacher's Resource Guides provide 10 pages of activities and reproducible worksheets per novel to support the books and extend students' reading skills. Simply select and print the activities that you need. A key at the end of each guide provides answers and sample responses. The activities give lower-level readers the tools to construct, extend, and examine the meaning of text.